Their are more than 17 million viruses on the web at any given time waiting to take control of your computer. It is important for you to not only protect your computer but your privacy. Let us help you remove those viruses and protect you from further infections. 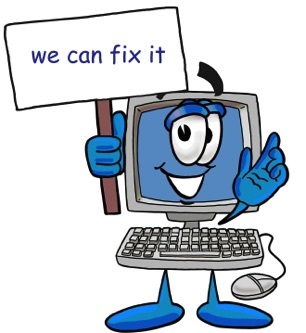 90% of the time we can recover your important data that you feel you may have lost due to hardware failure. Bring us your computer before you make the decision to take the loss. We are experts at recovering data. Consulting, instructional classes, tech support, VPN client support, house calls, media setup, security systems setups, screen repairs, new pc setups, cleanings, upgrades, servers installed and setups. William Baumgartner, Owner and Operator of Imagine Computers is the person to attend to your every computer need. For 16 years he's been running an honest business. I remember going to his shop as a young teen, and I still bring my computers to him, all these years later. System Analyst, Data Retrieval, Server Administrator, Daily Operations, Hardware Consultant, Virus and Data Protection, System Administrator: Windows, Mac, Computer and Network Security. He'll give you the facts, in a way even a non-techie can understand. He does his job with a smile on his face, and with complete integrity. His clients travel great distances for his expertise. He even does house-calls. This man deserves your business. Your computers deserve his care and know-how. We can install, manage, and help you maintain your private and business network. Do you have printers that need a wireless network to connect to, we can help! We Will Beat Our Competitors Prices! Bring us a written estimate from your local repair shop and we will offer you a better price or solution.